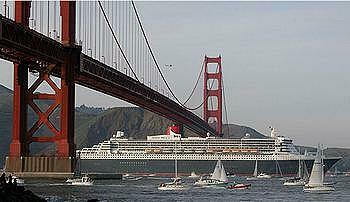 SAN FRANCISCO, California, August 26, 2010 (ENS) – All sewage discharges from large cruise ships and cargo ships to the marine waters along California’s entire coastline will be banned under new rules proposed by the U.S. EPA.. The sewage discharge ban will establish the largest coastal No Discharge Zone in the country and is expected to eliminate millions of gallons of sewage that large ships release into local waters every year. “California’s coastal waters are a unique national treasure. The clear waters of the Pacific are central to California’s economic and ecological vitality,” said EPA Regional Administrator Jared Blumenfeld announcing the proposal Wednesday. “Stopping 20 million gallons of sewage from entering California’s coastal waters and bays protects people and wildlife from dangerous pathogens,” he said. Sewage contains pathogens, nutrients and other contaminants that can impact human health, the environment, and the economy. Of the 434 California beaches monitored in 2009, 40 percent experienced advisories for exceeding water quality standards for pathogens. Advisories were issued for all 50 Los Angeles County beaches, over 85 percent of San Francisco beaches, and 75 percent of San Diego beaches. The new rule, which takes effect next year, is intended to strengthen protection for all 5,222 square miles of California’s ports and coastal waters, extending from the border with Mexico to Oregon and the waters surrounding major islands. “California’s beautiful beaches attract millions of tourists every year and we have fought hard to keep it that way. Pollution from these ships is a direct threat to our natural resources and the local economies that depend on tourism dollars. I commend U.S. EPA for this significant step forward in ensuring that our coastline remains pristine,” said Linda Adams, California’s Secretary for Environmental Protection. The ban will prohibit sewage discharges from all vessels larger than 300 tons, including cruise and cargo ships that operate in California waters. Under the Clean Water Act, states may request EPA to establish vessel sewage no-discharge zones if necessary to protect and restore water quality. In 2006, following passage of three state laws designed to reduce the effects of vessel discharges to its waters, the state of California asked EPA to establish the sewage discharge ban. “Big ships make for big pollution but unfortunately, responsible disposal of sewage from ships hasn’t always been a given in California,” said Marcie Keever, Oceans and Vessels Campaign Director at Friends of the Earth. 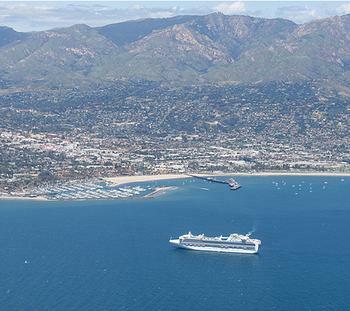 “The actions taken by U.S. EPA, the state of California, and the thousands of Californians who supported the Clean Coast Act mean that cruise lines and the shipping industry can no longer use California’s valuable coastal and bay waters as their toilet,” Keever said. But the Cruise Line International Association says its ships that sail along the coast of California have not discharged sewage within three miles of the shoreline since 2005 when the state passed its own coastal contamination law. Instead, the cruise ships store sewage in holding tanks for discharge at municipal wastewater treatment facilities or for dumping farther offshore. The new ban will apply to all coastal waters out to three miles from the coastline and all bays and estuaries subject to tidal influence, in contrast to prior no-discharge zones under the Clean Water Act, which apply in very small areas. There are nine small no-discharge zones currently designated in California, which include the national marine sanctuaries. California’s coastal waters encompass four national marine sanctuaries, a national monument, portions of six national parks and recreation areas, and more than 200 other marine reserves and protected areas have been established to protect California’s unique marine resources. EPA is inviting public comment for 60 days on the proposed discharge prohibition. Submit comments, identified by docket number EPA-R09-OW-2010-0438, at http://www.regulations.gov or by email to Allan Ota at: ota.allan@epa.gov. Other vessel sewage discharges will continue to be regulated under existing Clean Water Act requirements, which require that sewage to be treated by approved marine sanitation devices before discharge. The state is strengthening other efforts to address sewage discharges from smaller vessels, including recreational boats.